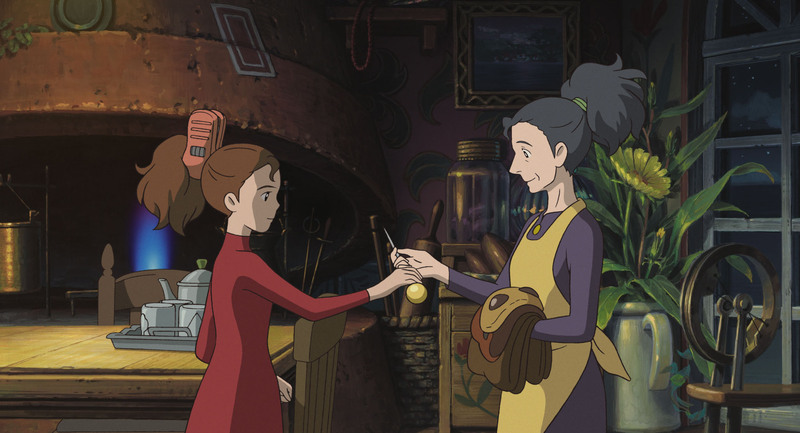 Strong-willed Arrietty (left, voice of Bridgit Mendler) shows her mother, Homily (voice of Amy Poehler), an amazing object that she has "borrowed" while on her first covert mission with her father, in Disney's release of the Studio Ghibli animated feature, "The Secret World of Arrietty." ©GNDHDDTW. 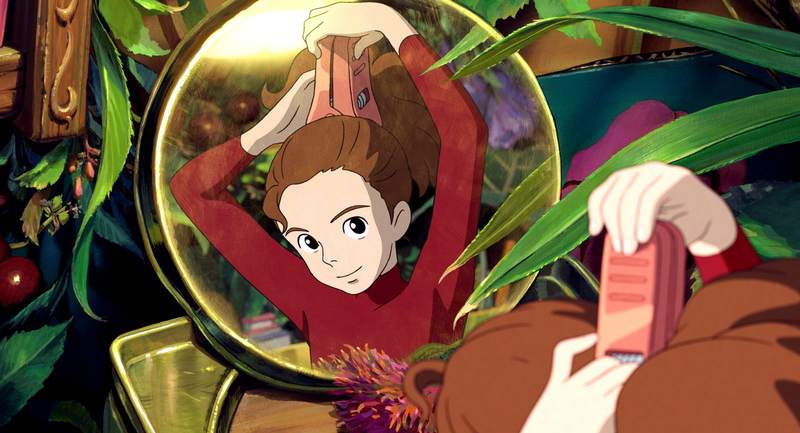 (Click on photo for hi-res version). Although she is very tiny, Arrietty (voice by Bridgit Mendler) is a dauntless teenager who, along with her equally diminutive family, resides peacefully under the floorboards of a country house and "borrows" whatever is required to get by, in Studio Ghibli"s feature animated adventure, "The Secret World of Arrietty." ©GNDHDDTW. (Click on photo for hi-res version). 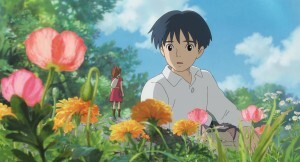 Human boy Shawn (right, voice of David Henrie) is astonished when he visits the garden and discovers Arrietty (voice of Bridgit Mendler) a tiny person who lives hidden with her family under the floorboards of the house where he's staying, in Disney's release of the Studio Ghibli animated feature "The Secret World of Arrietty." ©GNDHDDTW. (Click on photo for hi-res version).